Marine Depot has teamed up with one of our favorite artists in the reefing community, Rachel Fogle, aka ReefWeeds! This exclusive 24" x 24" Limited Edition print (without UV) features one of the aquarium hobby`s most coveted SPS corals, the Homewrecker. *Please note: this print will be shipped in a poster tube. This print is based on the original "Homewrecker" painting by Rachel Fogle (ReefWeeds) which was sold to one lucky coral (art) collector on September 7, 2018. 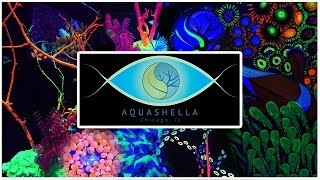 Rachel Fogle is the mastermind and creator of ReefWeeds: the eye-catching, UV-reactive reef-inspired art you’ve undoubtedly seen “glowing” at aquarium shows, in YouTube videos, and all over social media. 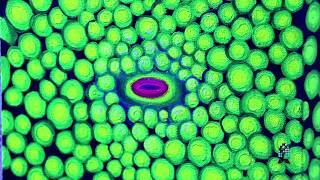 We love how Rachel’s paintings capture the fluorescence of corals so much that we commissioned her to paint a Favia coral for us last spring to hang in the office here at Marine Depot. A friendship blossomed and now here we are offering ReefWeeds art in our online store! Rachel is creating exclusive, limited-edition art that will only be available at Marine Depot. The first custom series is all about acropora and includes some really popular specimens including Walt Disney, Homewrecker, and Red Planet. Each quarter, there will be a new set, with different corals or fish as the subject. Marine Depot will be offering the originals as well as limited edition, hand-highlighted prints on stretched canvas AND limited edition non-UV canvas prints. The price points will vary between the original, the hand-highlighted and non-UV, so hopefully this will allow everyone to have the opportunity to own some ReefWeeds art!